This plane has a long and distinguished career, it was one of the work horses that had the responsibility of turning The Battle of Britain against the Germans back into the favor of England. The Hurricane is often forgotten about in favor of the more popular Spitfire, this aircraft is also a huge reason for the successful outcome of the siege of Malta. 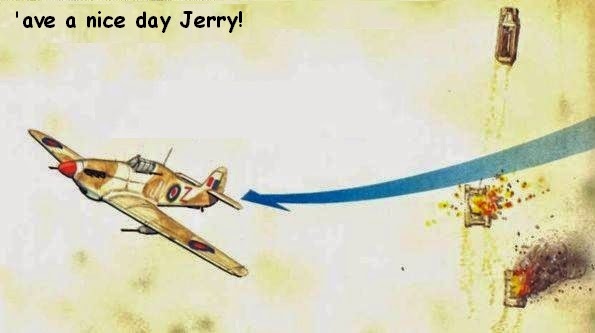 In Flames of War, the use of air power over the use of artillery has it's advantages. You are sometimes more able to deploy this weapon to anywhere on the board. You have to be mindful of the 16" 'wave off' distance. Any friendly teams within the 16" of the airplane are too close to the enemy. Keep this in mind when placing the aircraft on the table. Don't forget that the movement step is done after the model is placed, and because you can pre-measure all distances, this will make it easier for you to get it where you want it. I was lucky enough to see a Hurricane in flight a few years ago during an airshow just outside of Ottawa in 2012. Truly a great looking and sounding airplane. There are very few of these war machines still airworthy today, take every opportunity to see one up close and in flight if possible! For me the choice is simple, the Hurricane IID. The reason for me is the fact that in Mid War, there is very little your opponent can do vs. AT 11 in the side of his armored vehicles. Tanks and Transports alike, will light up the battlefield in wonderful explosions once they've been spotted from the air. Of course the combination of the Cannon and Bombs of the IIC are also a viable option. When you decide which one is best for you, I think the lack of punch of the British armor in Mid War will drive you to the IID as the best answer for blowing up those German 'Big Cats' you are going to run into from time to time. 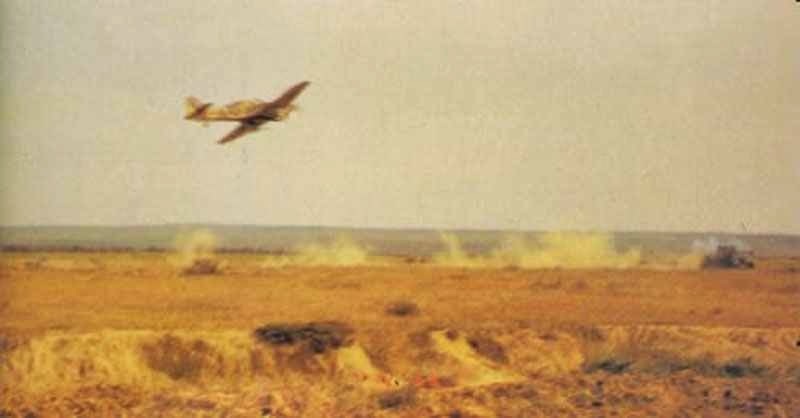 In this photo, a Hurricane IID is making an attack run. This Italian tank in the desert didn't stand a chance. I'm sure the nearly 4 pound, 40mm projectile made quick work of anything it fired against. You had to make your shots count, as you only had 15 rounds for each of the two guns mounted under the wings.